Agamben’s Philosophical Lineage, edited by Adam Kotsko and Carlo Salzani. 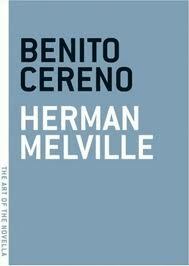 After reading Submergence, with its watery thematic base, it is mildly amusing that a random selection from Melville House’s Art of the Novella series yields Herman Melville’s Benito Cereno, a maritime adventure. Maritime is not a genre of the literary ecosystem I find seductive, but I found Melville’s story absorbing, though assuaged by its mere one hundred and twenty four pages. A fictionalised account of a real event, Benito Cereno tells of a slave insurrection on a ship travelling in South America. The captain of an American merchant ship, Amasa Delano, boards to assist what he considers a ship in distress after illness, bad weather and probable incompetence. Delano discerns, but continually misreads, a more macabre misery. Understanding more than the captain, we observe and participate in his unease. Melville’s tale has more of the quiet horror of a Edgar Allen Poe story, rather than the swashbuckling of Horatio Hornblower (this is an assumption, I have no direct knowledge of Hornblower). 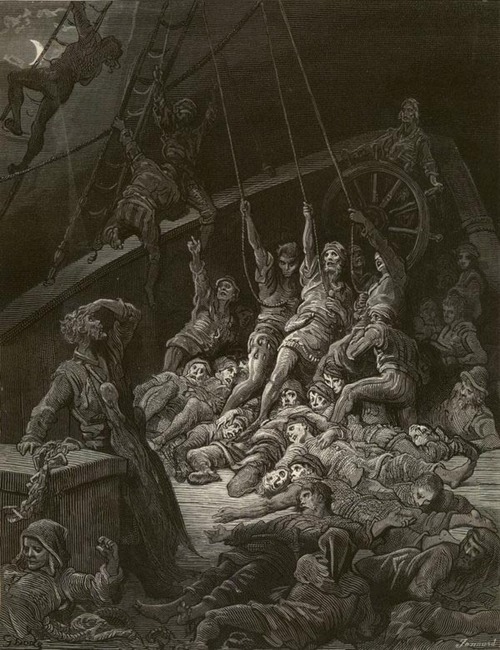 It was Dore’s Ancient Mariner etching that kept coming to mind. August is the month of the Art of the Novella Reading Challenge, which begins today. The intention is to read all 42 novellas in the series. Being a reader that values attentive reading, it seems a daunting task, but I enjoy a challenge. My reading choices will be selected each day by my daughter, starting with Melville’s Benito Cereno. The Greeks in their era of greatness had only contempt for work: their slaves alone were permitted to labour: the free man knew only exercises for the body and mind. . .
Bartleby though is not an Idler, but more disquieting. 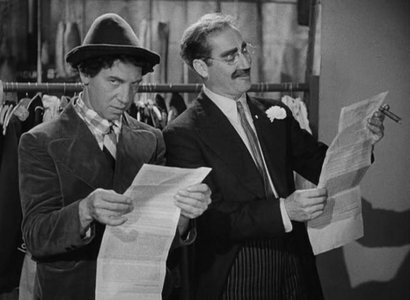 At the beginning of his employment as a scrivener, or document copyist, he did an ‘extraordinary quantity of writing.’ At one request he utters the words, “I would prefer not to.” Thereafter his eccentricity becomes unsettling. Aside from Bartleby, Melville conjures up the memorable trio of more consistent copyists: Turkey, Nippers and Ginger Nut. Part of Melville House’s wonderful The Art of the Novella series, Melville crams a lot of story into these 64 pages.